We like stripping each topic down to its bare essentials and so it is in episode 55. Our first guest is movie producer/director/writer Wayne Groom, the man behind the cult classic, Maslin Beach, and who now is in pursuit of Cods. The story of the Cods from Murray Bridge, is a story about Australia’s greatest ever sports team. 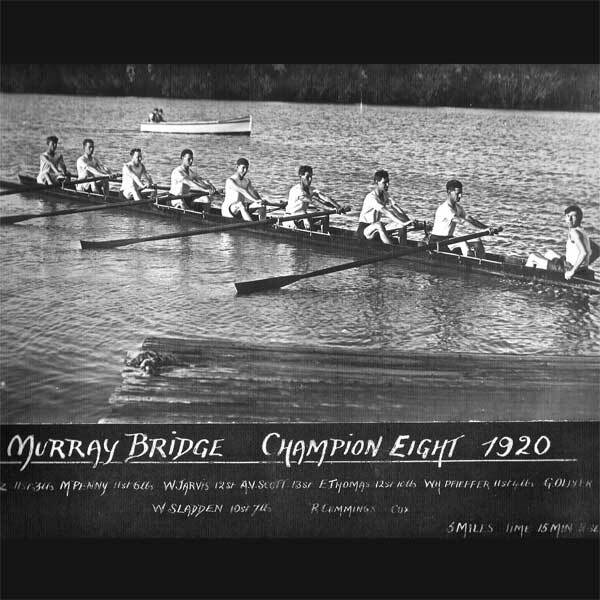 In the 1910s and 1920s, this bunch of working class athletes, dominated rowing, winning Australian championships and ultimately heading to the 1924 Summer Olympics. It is an epic tale and Wayne needs some more funding to make this project happen. Will you dip in your oar? Meanwhile, we also remember the late Graham F Smith, a South Australian man who worked tirelessly for peace, emboldened by his belief that education, particularly the ability to question and challenge, was the key to empowerment and a better future for all. We speak with his widow, Léonie Ebert, who now heads up the Graham F Smith Peace Foundation. Learn more about this man and his legacy – and even pick up tickets for their September 20 fundraising dinner. Is It News? gets the professional treatment this week, with headlines researched and provided by The Advertiser‘s Greg Barila. Our wine is a warming Muscat, our music is from Tara Carragher, and along the way we discuss weird robberies in SA and a tale about free postage that wasn’t really free. We also enter a television trio into the SA register and a TV show is up before the Adelaide Visa Council. 00:00:00 Outtake Maslin or Maslin’s? 00:00:25 Theme Theme and introduction. Our original theme song in full is here, Adelaidey-hoo. 00:02:35 South Australian Drink Of The Week James Haselgrove Wines Muscat. Tasting notes. Steve: Kytons Bakery – best xmas pudding at the Royal Adelaide Show. 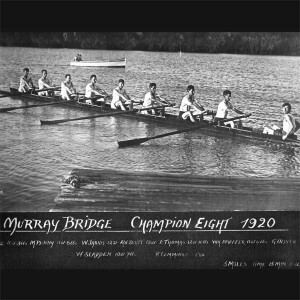 Wayne Groom came into the public view with Maslin Beach, but his next project is CODS, a documentary about the 1920’s rowing team from Murray Bridge. Léonie Ebert from the Graham F Smith Peace Foundation will talk to us about Graham, the foundation and the intriguing annual dinner happening on September 20. Brett: Bowling at Norwood Bowls. Steve: Greg Barila’s Listly list covering bizarre robberies in SA. Colin: He’s miffed by the ABC Shop’s free shipping offer that wasn’t really a free shipping offer. 00:53:07 South Australian Register Colin: Joey Moore, Robin Roenfeldt, and Winky Dink.